Let's face it, we all love spring season. Spring is the season when many of us are full of optimism, hope and happiness. After the long, cold winter, the weather begins to warm up, the days get longer, and summer is well on its way. Unfortunately spring does come with a slight catch. For most of us, spring season is one of the worst times of the year for our hair. Seasonal shedding is at its most potent phase during mid spring, which can leave our locks weak and thin. The majority of men and women experience a strong growth cycle during the end of winter, and beginning of spring. Shedding is perfectly normal, and in most cases does not relate to pattern baldness, but more of a natural process that we experience during the change in climate. With so many of us suffering from thinning hair during this time of year, we've put together a simple guide that will allow you to get you locks in tip top shape in time for summer. They key is to keep your hair as well conditioned and resist to shedding as possible, especially during the next few months when it will be prone to thinning. Our hair growth phase is usually at its strongest during the winter months, so it is normal to notice slight shedding as the season transitions. Make sure you use less product in your hair (styling products, dry shampoos etc.) over the spring season, and be sure to cut down on harsh conditioners that could potentially harm your hair and cause it to look thin and tired. Try and reduce (or avoid completely) your use of hot hair drying/styling devices like hairdryers and hair straighteners. These can be particularly harmful to already weakened hair, especially if your locks are going through the seasonal shedding phase. Either stop using heat-hairstyling products during this phase, or simply hold the hair dryer further away from your hair than you normally would, on a lower temperature setting. Again, do not grow concerned, as after particularly strong growth over the colder months, your hair is simply going through a cycle, which results in losing more strands than usual as the weather changes. It is a temporary hair loss process, so your hair should go back to normal at the end of the phase. 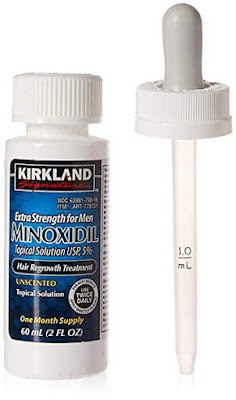 Some people try to tackle shedding by using Minoxidil (an FDA approved hair loss treatment). Minoxidil is known to cause severe shedding during early usage, therefore this may not be the appropriate treatment during a time when you are losing more hair than usual. However, if you already suffer from baldness, then you should consider using Minoxidil, as it can help reduce the excess shedding that you experience throughout spring season. Experiencing stronger hair growth in the spring is normal, but that means you will probably be more prone to heavy shedding during the autumn months of the year. Experiencing good growth during March through to May does not mean you are out of the woods. Be sure to keep on top of your hair care routine with natural vitamins and enhancing shampoos to get the very best out of your hair during its peak season. That way, you will be far better prepared for the dreaded shedding phase. Hair vitamins are becoming the most popular natural treatment for baldness and thinning hair. These types of treatments contain a broad range of ingredients that specifically target the hair. Hair growth agents like Biotin (B7), work well when blended with DHT blocking properties like Saw Palmetto and Nettle Leaf Extract. These types of additives are generally considered to be safe and effective. One of the worst aspects about winter season is the fact we tend to spend most of our time indoors. Being constantly exposed to central heating is not great for our locks. We tend to sweat a lot, which can damage our hair and leave it looking lacklustre. Be sure to get out and give your hair plenty of fresh air. Your strands can only benefit from this and grow freely. Getting plenty of exercise should also be on your list of priorities this spring. Getting your body active regularly is the most beneficial thing you can do for yourself, and of course your hair. Also, be sure to sharpen up on you diet - eat lots of high-protein foods, and avoid junk food where possible. The healthier you eat, the most your hair will thrive. Is Seasonal Hair Loss Only in Spring? Seasonal hair loss is a hair shedding phase that can occur at any point of the year, but for most men and women it tends to happen during the spring season. For many of us, seasonal shedding also happens around autumn time, and the least common season for shedding is winter. But this depends on each individual. Seasonal hair loss is a temporary phase, so you should not worry too much about it. Your hair will grow back to its full health at the end of the shedding phase, so be patient, look after your hair, and wait for the phase to pass. Seasonal shedding can be a nightmare if you are already suffering from another form of hair loss, such as pattern baldness. This is is where you would need to use hair loss treatments in conjunction with a good hair care plan.